Stephanie Wright is a born healer. As a child she preferred crystals, animals and nature over Barbie dolls and cartoons. Always fascinated by the human condition and how the mind works, she delved into metaphysics, spirituality and the esoteric. All the while traveling her own path of self-improvement and discovery. She was drawn to hypnotherapy after having several amazing breakthroughs quickly and profoundly in her own life. 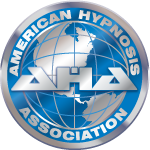 She sought out the best education she could in this field and attended the nation's first Nationally Accredited School of Hypnotherapy, Hypnosis Motivation Institute in Tarzana, California, graduating with Honors and receiving the coveted Director's Award. She hit the ground running and hasn't looked back, honing her craft with certifications in Past Life Regression Therapy, Smoking Cessation, Weight Loss, Advanced EFT (Emotional Freedom Technique), Master of Therapeutic Imagery, Aromatherapy, Kemetic Reiki (a form of ancient Egyptian energy healing), Chakra Alignment and Balancing as well as Tarot, Crystal Therapy and Crystal Grids. Stephanie works with her clients to optimize all aspects of their lives in which they are seeking thriving and abundance. She believes in a holistic, empathic, intuitively non-judgemental approach, always operating from the positive belief that every individual who is seeking answers has them within. Her process requires your participation, imagination and a desire to embrace what you are seeking - because you deserve it. When she’s not co-creating with her clients Stephanie can be found expressing herself artistically. She loves shooting portrait photography. Her images have shown in several galleries in Los Angeles and other US cities. She also enjoys making jewelry, hiking and spending time in nature with her little family and three rescue dogs . We respect your privacy. No spamming, sharing or selling your info.